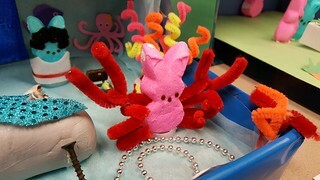 We had 54 wonderful entries in this year's contest, and lots of creativity and humor on display! 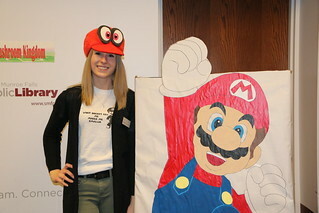 Teens brought the Nintendo Switch game “Super Mario Odyssey” to life at the library! They collected "power moons" and earned Mario-themed prizes by completing challenges inspired by the game including the 100 jump rope challenge, answering Sphynx’s questions (Mario trivia), obstacle courses and relay races, and making a Perler bead Mario craft. 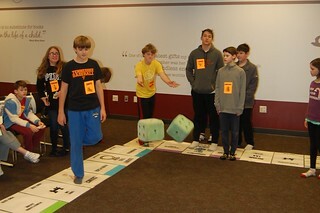 Tweens (grades 3-5) and teens had fun walking on Boardwalk on our large Monopoly board during this competitive program. 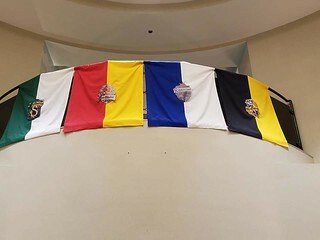 Winning teams earned bragging rights and board game prizes courtesy of the Friends of the Library. 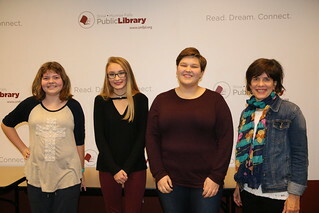 Author Shelley Pearsall gave a presentation on writing and we honored the winners of our 2018 Teen Creative Writing Contest. 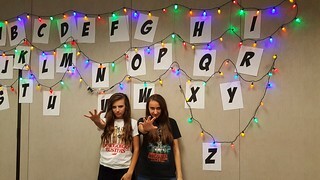 Teens gathered to share their love of the popular Netflix show, by playing Stranger Things trivia, rapping with Millie Bobby Brown, making character icons out of Perler beads, and eating Eggos and other snacks inspired by the show.